Earlier this week, William Paterson University announced that a new bachelors degree, Disability Studies, will be launched Fall 2019. 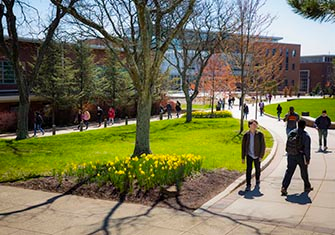 The degree is the first of its kind in New Jersey, and it is designed to meet the demand across all industries for students and professionals who comprehend the needs of those with disabilities, according to William Paterson University’s press release. The program is multidisciplinary and will explore the nature and connotation of “disability” by examining laws, policies, culture and history in a way that can reduce the stigmatization of disease, illness, and impairment across all areas of society. “As the number of individuals with disabilities increases, there is a growing demand for graduates who are well-prepared to work directly with individuals with disabilities across the lifespan, that will help remove the physical, legal and attitudinal barriers.” said Amy Ginsberg, Dean of William Paterson University’s College of Education. According to a 2015 report from the Centers for Disease Control and Prevention, 1 out of every 5 adults has a disability. As a large percent of the population ages, chronic health conditions are more prevalent. This cultural situation creates demand for professionals who specialize in disability history, politics, and procedure. Studying disability through many different educational lenses will help students view issues of disability through their own experiences, defining prospective career possibilities in law, public health, public policy, government, business, law enforcement, mental health counseling, and social work. The degree will also prepare students for careers that directly support individuals with disabilities, such as in education and human services. The program will include topics like lifespan development, the philosophy of justice and ethical issues in disability studies. The University will offer courses from various disciplines, such as anthropology, philosophy, psychology, and public health, as well as disability studies, kinesiology, and sociology. Courses will be offered in several formats including online, hybrid, and in-person. The program will have a study abroad option through the University’s international exchange agreement with Windesheim University in the Netherlands, which is also developing a diversity program. The degree is built upon a previous minor of the same name, which was launched in 2017. The program will be housed through the College of Education. For more information, please contact the College of Education or visit them at 1600 Valley Road.